This was to describe oral health in children with congenital heart defects (CHD), to evaluate association of different background variables with oral health, and to compare caries prevalence at dentine level with caries data in the general population. In this cross-sectional study, 5-year-old children in Western Norway with a need for lifelong follow-up due to CHD were invited to participate (n = 100). Children born in 2005, 2006, and 2007 underwent a comprehensive oral health examination during the period 2010–2012. Caries prevalence at the dentine level was compared with data available for 5-year-old children from the general population of Western Norway (n = 18,974). The response rate was 67 %. Caries prevalence in children with CHD at d1–5mft was 37.3 % and at d3–5mft 25.4 %. Few children (n = 4) had experienced fillings, indicating an unmet need for operative treatment. Enamel lesions (d1–2s) exceeded dentine lesions (d3–5s) in the study group, 60 % versus 40 %, indicating a significant need of non-operative treatment. At dentine level, caries prevalence in children with CHD was significantly higher than in children in the general population (25.4 versus 18.3 %). Erosion was more prevalent than caries (50.7 versus 37.3 %). 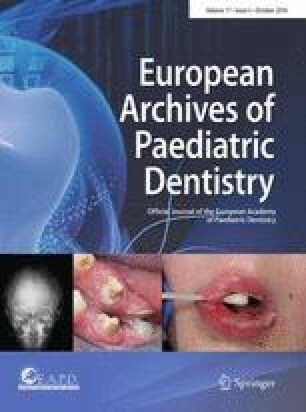 In total, 37.3 % of all children had d3–5mfs caries, erosion (grades 3 or 4), developmental defects of enamel (DDE) with post-eruptive breakdown of enamel and exposure into dentine, or combinations of the diagnoses. Investigated background factors did not significantly affect caries, erosion, or DDE. More than a third of the children with CHD were found to have an oral health status that may imply risk for systemic hazardous effects. We would like to acknowledge co-examiner Astrid Halle, Department of Clinical Dentistry-Paediatrics, University of Bergen and the staff at the following institutions; Department of Clinical Dentistry-Paediatrics, Haukeland University Hospital-Department of Paediatrics; Public Dental Health staff in Hordaland, northern Rogaland, Sogn & Fjordane, and the dental clinics in Førde and Haugesund. Lastly, our thanks go to all the parents and children who participated in the study. This study was funded by University of Bergen. Informed consent was obtained from parents to all individual participants included in the study. Statistisk Sentralbyrå, Statistics Norway. Tannhelsetenesta. Nøkkeltall. Hordaland, Sogn og Fjordane og nordre Rogaland (Dental health services. Key figures. Hordaland, Sogn and Fjordane and nothern Rogaland). 2010, 2011, 2012. https://www.ssb.no/statistikkbanken/selectvarval/Define.asp?subjectcode=&ProductId=&MainTable=Kostra2FGTannhel&nvl=&PLanguage=0&nyTmpVar=true&CMSSubjectArea=helse&KortNavnWeb=tannhelse&StatVariant=&checked=true. Accessed 5 Jun 2014.